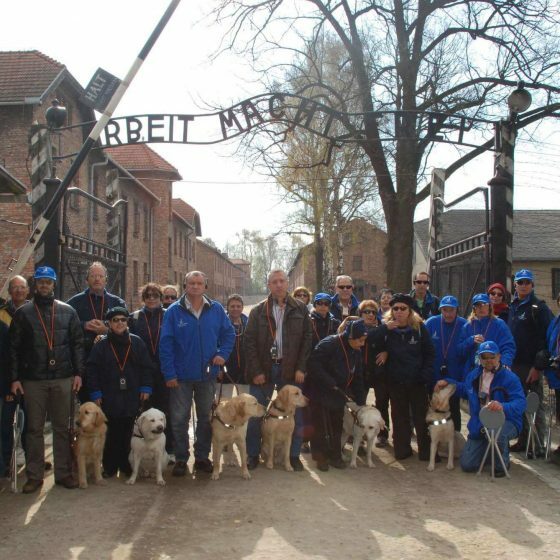 Blind Love recounts a trip to Poland of six blind Israelis and their guide dogs who took part in the annual March of the Living, where they visited once thriving sites of Jewish life and culture. 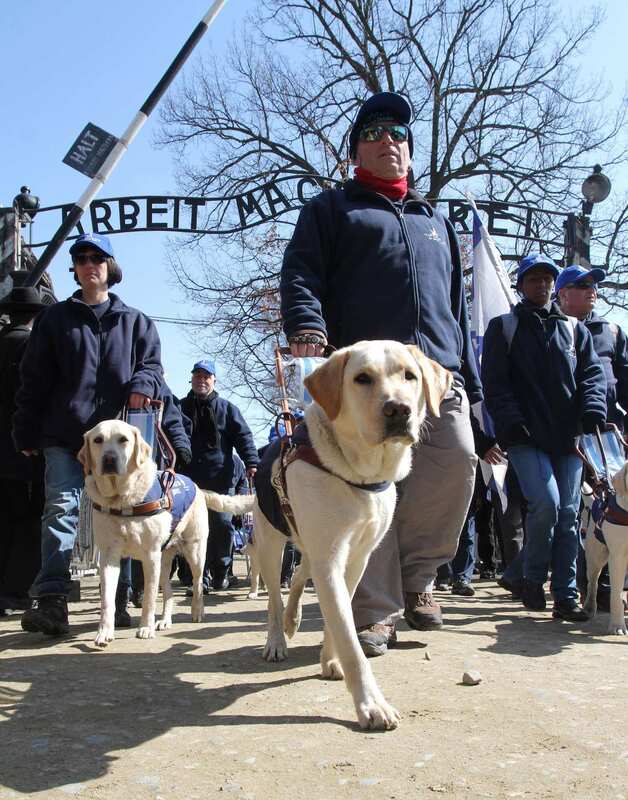 On Holocaust Remembrance Day, the blind participants and their guide dogs marched from Auschwitz-Birkenau in memory of the victims of Nazi genocide and against prejudice, intolerance and hate. Read more below. 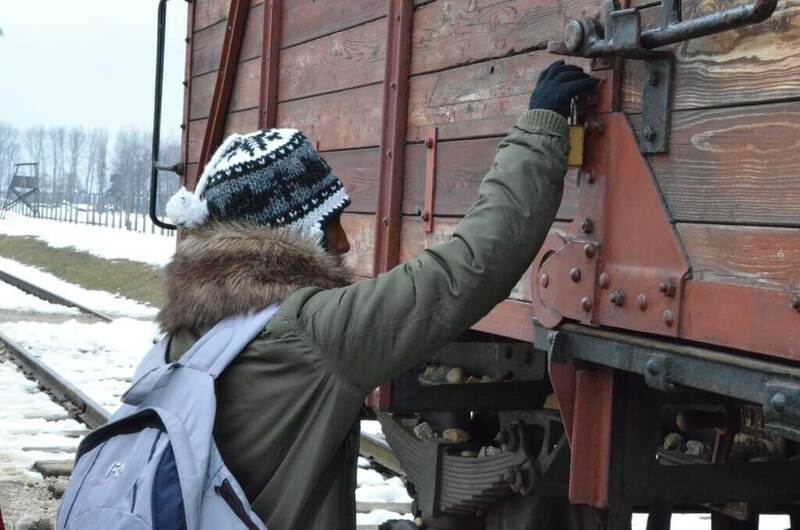 The Holocaust survivors who appear in the film are Belgian Auschwitz survivor David Shentow, and Polish born Max Glauben, a survivor of the Warsaw Ghetto and Majdanek. 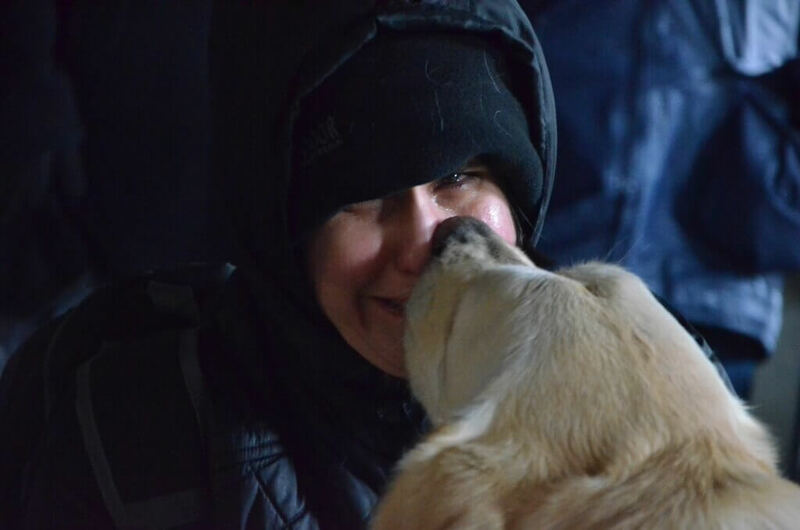 Both survivors reflect upon the dramatic contrast in the usage of dogs by those who sought to harm innocent people. and those who employ dogs in the service of others. David Shentow describes his arrival in Auschwitz at 17 years of age, recalling how the man standing next to him was attacked - and killed - by a German Shepherd upon the order of a Nazi guard, for refusing to part with a family photo. 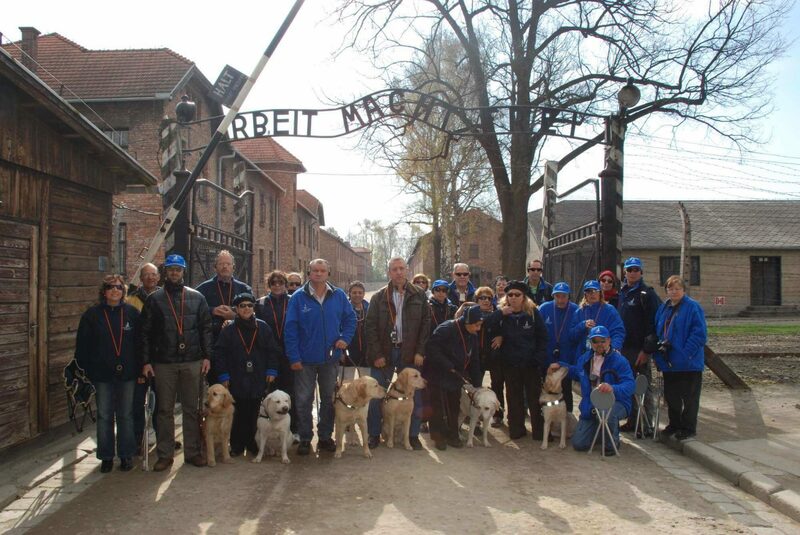 Max Glauben shares his impressions about seeing guide dogs on the March of the Living, helping - not attacking - the blind Jewish visitors walking through the former concentration camp. 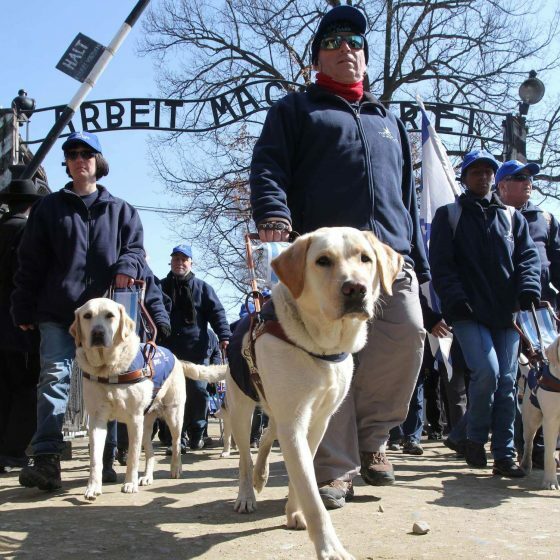 Commenting on the symbolism of the project, director Eli Rubenstein said "The Nazis didn’t just murder Jews, they murdered people with disabilities. And the Nazis trained German Shepherds to torture and kill prisoners." 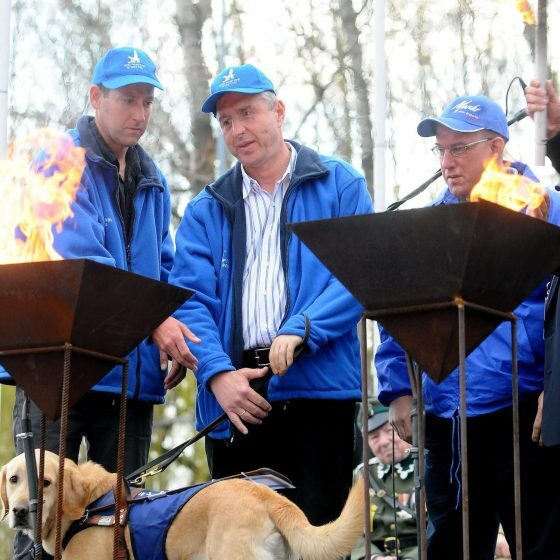 Rubenstein is President of the Canadian support group of the Israel Guide Dog Center for the Blind, and National Director of the March of the Living Canada. 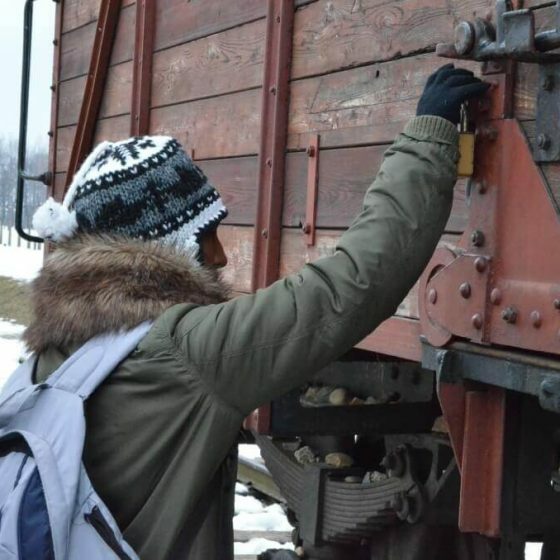 During one scene inside the former gas chamber at the Majdanek concentration camp, Liron Artzi, a partially sighted lawyer from Tel Aviv, is overcome with emotion. 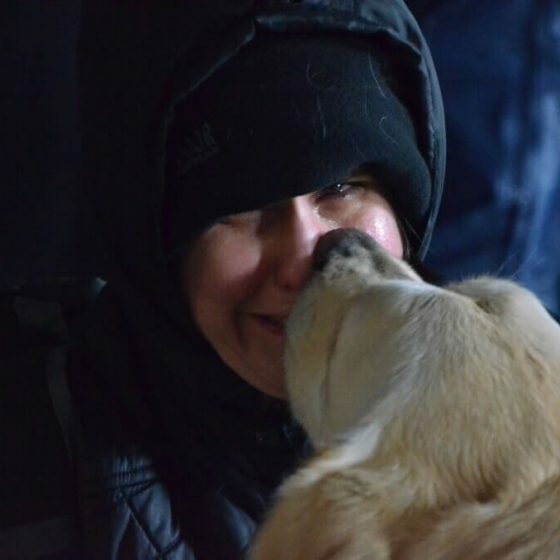 Her dog Petel responds to her distress by licking the tears from her face. Artzi described it as a "powerful experience" in a later interview, saying "Petel understood what was going on. 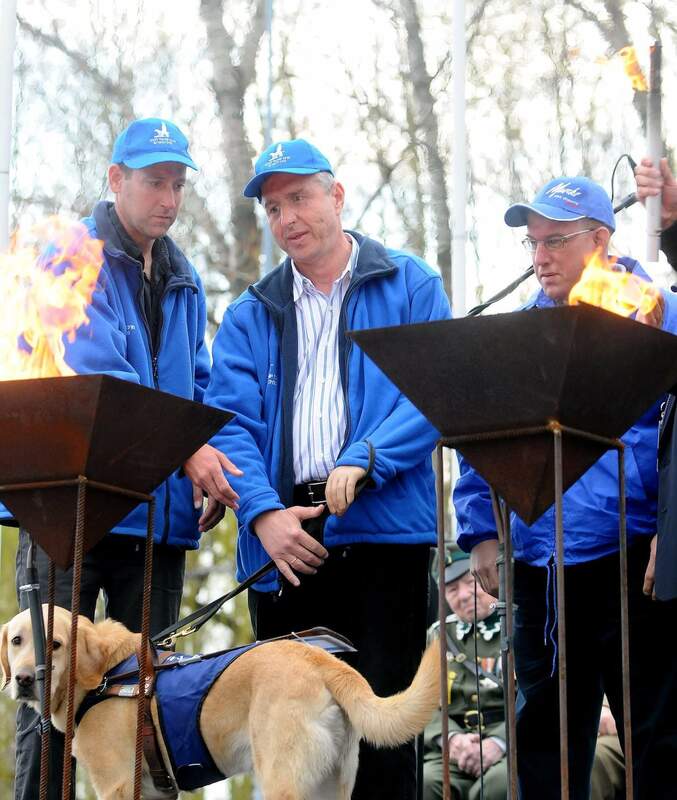 It was like she was telling me ‘I am here with you in every moment.’"
The interaction between Liron and her guide dog Petel in Majdanek, as well as Holocaust survivor Max Glauben's encounter with guide dogs in Auschwitz-Birkenau - during the March of the Living - appear in Witness: Passing the Torch of Holocaust Memory to New Generations published in late 2015. Blind Love premièred in November 2015 as part of Holocaust Education Week in Toronto, with the co-sponsorship of the Toronto Jewish Film Festival. It was also broadcast on the CBC's Canadian speciality channel Documentary in late 2015. In 2016, the POLIN Museum of the History of Polish Jews in Warsaw, Poland screened the film several times, including one screening at a disabilities program. The Polish version of the film was narrated by Magdalena Cielecka a well known Polish film and theatre actress.